Halloween is on its way. 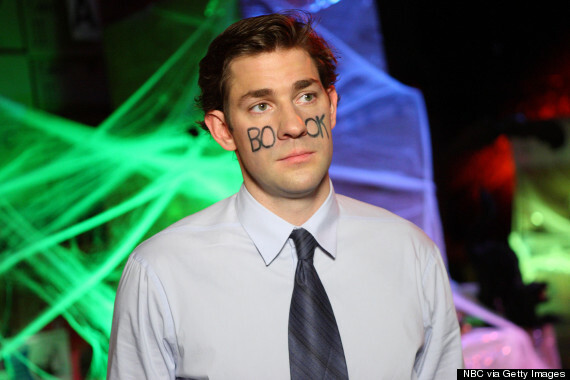 Have you started thinking about your Halloween costume? 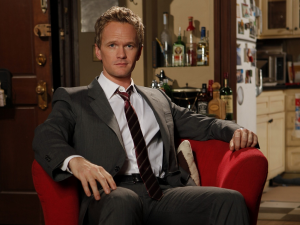 If you haven’t, you better get started before you’re forced to pull a Jim Halpert (unless that’s your minimalist style, I guess). Fine, I guess it IS a classic. Luckily, we’ve compiled some helpful Halloween infographics to help you pick your costume, so you don’t have to go naked on Halloween (minimalist, but slightly more illegal). What’s more fun than dressing up for Halloween? Dressing up our pets. Maybe your first priority wasn’t coming up with a costume for your pet but let’s be real…it probably is now. This cute Halloween infographic shows what the most popular costumes were for pets in the past year. Who knew that dressing other animals up as cats and dogs was so popular? Last year my cat was Superman for Halloween. What will your pet be? OK, this one is about humans. Surprisingly, cat and dog costumes aren’t as popular for humans…but Left Shark is, apparently. This Halloween infographic just goes to show that people like to be on top of current pop culture trends when picking a costume. Can you imagine yourself wearing one of these getups? Halloween can really sneak up on us. Sometimes, we don’t have time to go out and buy an elaborate costume. In the event that you need to throw something together, this infographic can help you D.I.Y. a half-decent costume. Infographics are great for visualizing simple tips like this. Check out more quick tip infographics here. Halloween is the perfect opportunity to be someone else–someone from another time, place, or reality. 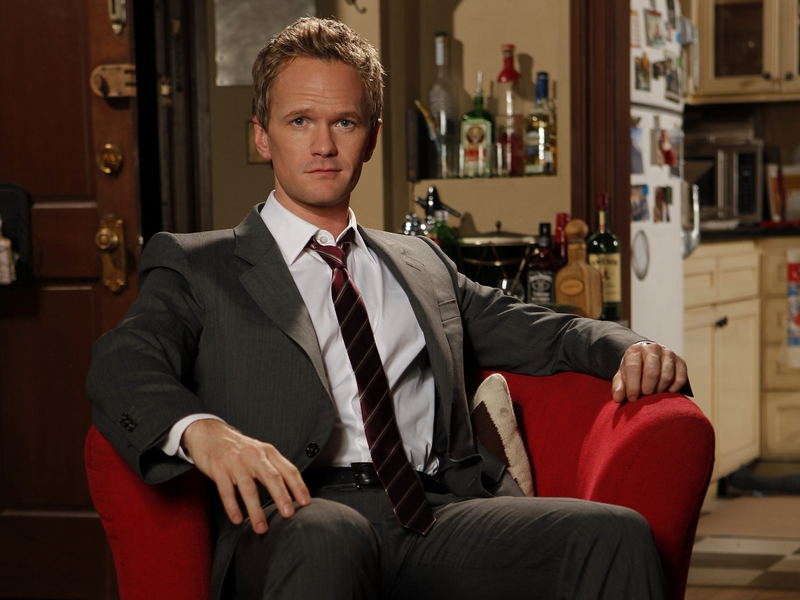 This timeline infographic pinpoints a quintessential person or character for each era. Maybe it’s time to revive one of the classics by being a witch or a pirate. While Halloween is a time to pretend you’re someone else, who you choose to be can still reveal something about you. What kind of costumes do you gravitate towards? Scary? Flirtatious? Just plain lazy? This fun infographic offers some insight into how others might perceive your chosen costume. But let’s be real, Halloween isn’t a time to worry about what others think. Live your best life! 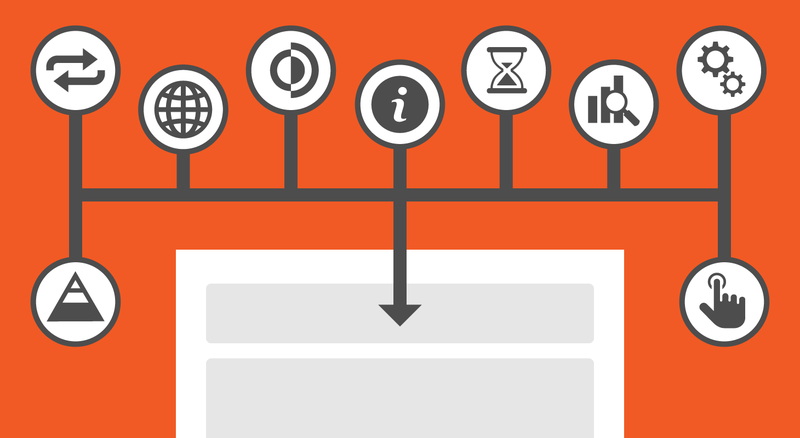 Here’s another Halloween timeline infographic for you. As pop culture changes, so do the popular costumes for each year. This infographic takes you on a walk through time, showing which costumes were popular in each decade. Which era of halloween costumes do you like best? Superheroes are mainstream now and that means we’re going to keep seeing a lot more super costumes during Halloween. While you would need an encyclopedia of costumes to cover every super hero out there, this infographic shows you how to dress up as a few of the big names. Putting together an outfit doesn’t seem so hard when you have a recipe for it, don’t you think? Check out more recipe infographic templates here. Is your goal for this year to spook your friends (and maybe a few unsuspecting strangers)? 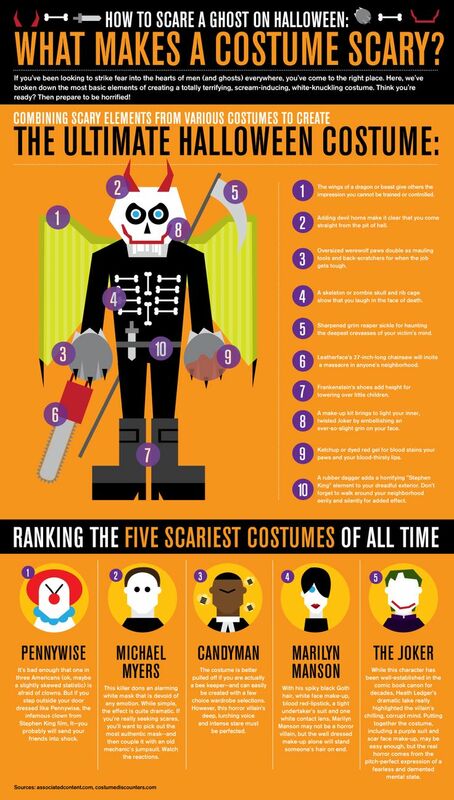 This Halloween infographic breaks down the components of a scary costume…then combines them into one super-costume. What would you do if you ran into someone dressed like that on the street? Which Halloween costumes are most popular in your state? 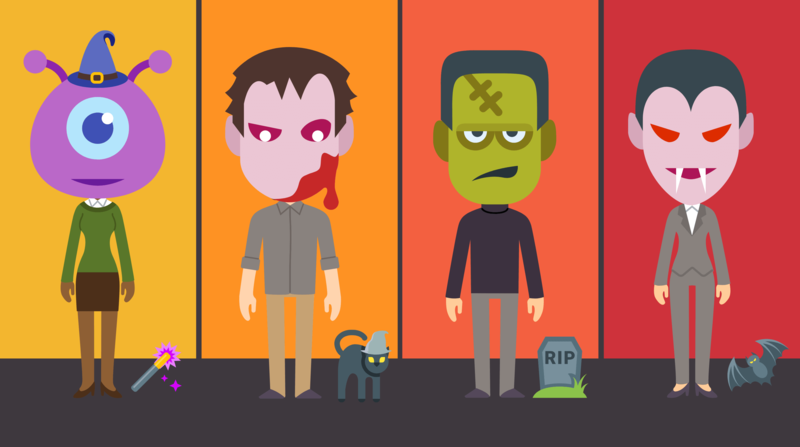 While this Halloween infographic doesn’t show which costumes people are actually wearing, it does shows which costumes are on people’s minds. Maybe the results will surprise you, or maybe it won’t…either way, it’s interesting to see what people are searching for around Halloween. 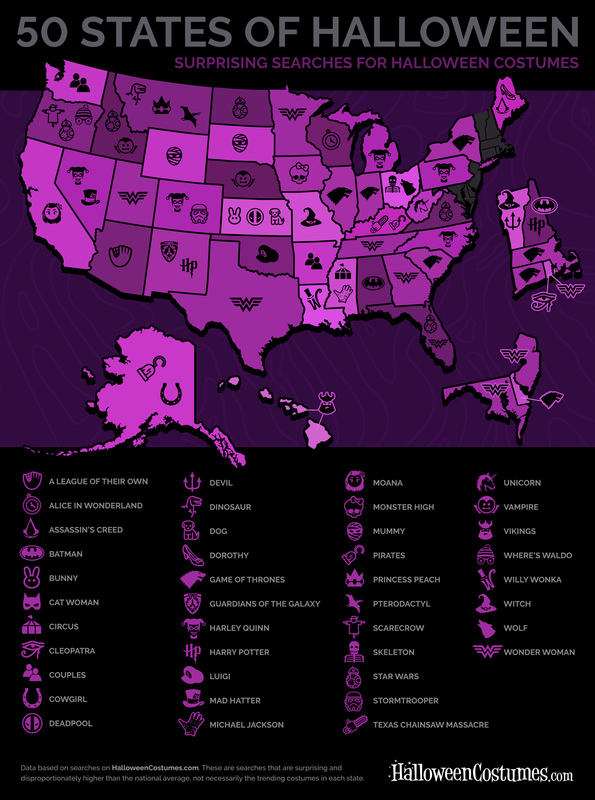 This simple map infographic uses icons to illustrate the most popular costumes for each state. 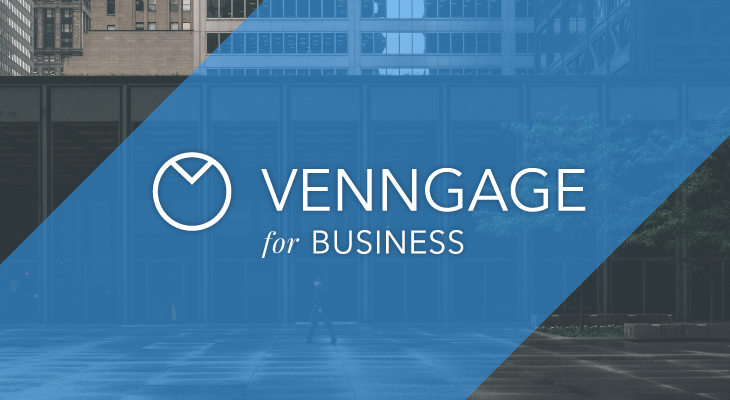 You can create your own map like this in Venngage, using one of our map templates. Curious about where most people buy their costumes? Wonder what makes certain costumes more appealing than others? Whether you’re selling costumes yourself, or you just want to be a savvy shopper, this infographic breaks down costume sales by the numbers. 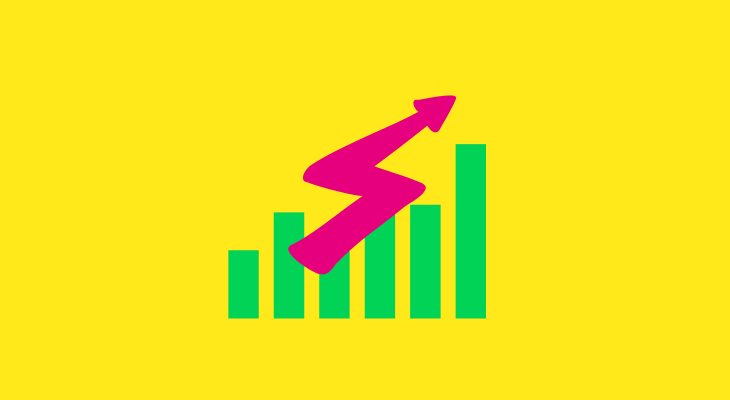 There’s also some cool stats to inform your Halloween social media posts! 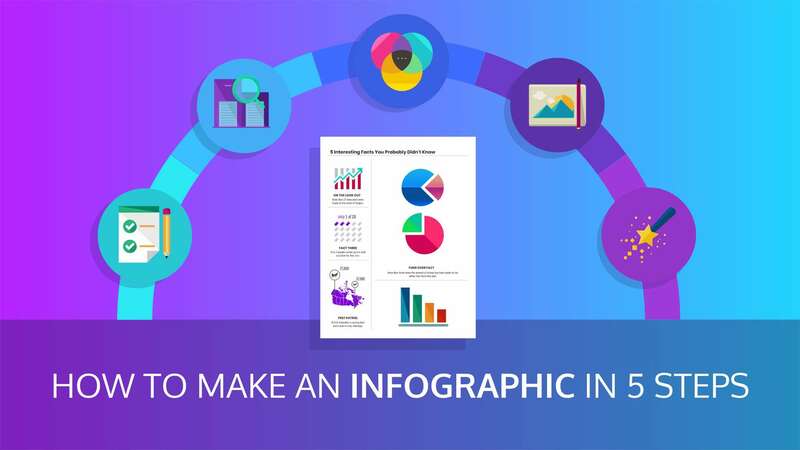 Interested in creating a statistical infographic like this? 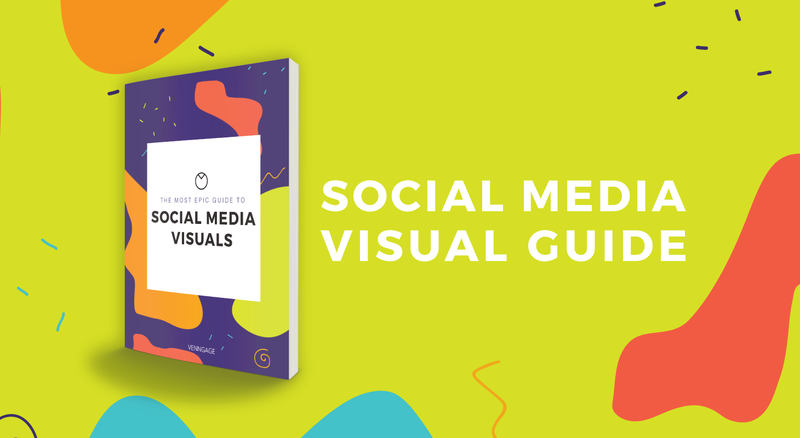 Check out this infographic design guide. 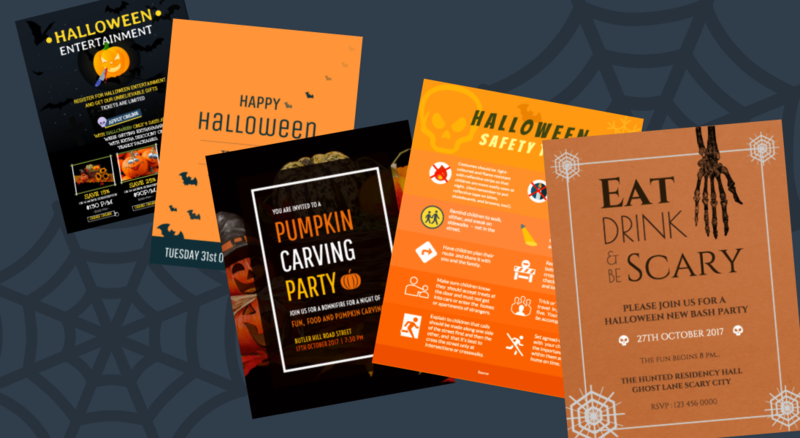 Hopefully these Halloween infographics have given you some ideas! If worst comes to worst, you can always just suit up, right?